Is Xi Jinping’s Fight Against Corruption For Real? 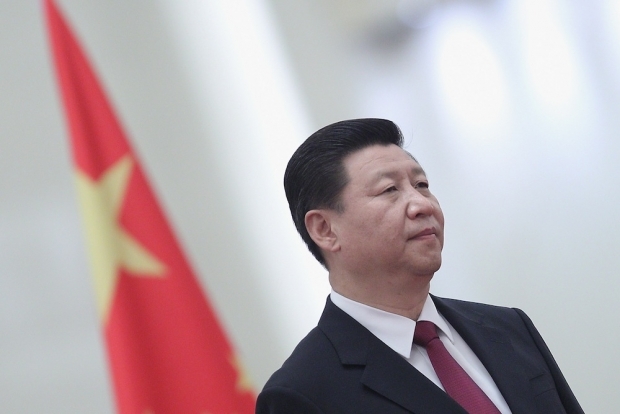 Xi Jinping’s overriding aim is the preservation of Communist party rule in China, as he made clear in speeches shortly after his elevation to be China’s senior leader. Like his predecessors, he is obsessed with the Gorbachev phenomenon and doesn't want to be remembered in history as the Gorbachev of China. To that end he will keep the PLA leadership close to him, as “lips and teeth.” And he is unlikely to permit greater political liberalization—reversing the verdicts on June 4 for example--which might contribute to a loss of party control over the population. What his aim also means is that he cannot have a thorough-going anti-corruption drive that could target his senior colleagues and their cronies. A few egregious cases that become public may have to be prosecuted and Bo Xilai is a special case—though even there the delay in bringing him to trial shows how cautious the leadership is when it comes to members of the Politburo—but it is highly likely that the main targets of the drive will only be middle- to lower-ranking officials. I will keep this very brief for two reasons. First, I am totally focused on Wimbledon and the purges of Federer and Nadal while I am here in London. Second, Rod has expressed my views precisely. Xi has to make some progress on corruption, because it is the biggest threat to his highest priority, as underlined by Rod: the control of the Communist Party. So we will continue to see a concerted drive against against Rolexes, Mercedes, sharks’ fin soup and mistresses, a bevy of attacks on minnows and tuna, and a few against symbolic whales. What we will not see,for Rod’s reasons plus Party control of the courts and media, is wrestling with the core problem. In April Mr. Xi, in his capacity as chairman of the Central Military Commission, approved an order requiring officers to spend time every few years down in the ranks as common soldiers. A commentary on the policy in the Chinese army’s newspaper reminded readers that in 1958 Mao Zedong called for every cadre to spend one month a year as a common soldier. These continuing campaigns to “change work styles” and curb corruption are not going away anytime soon, much to the chagrin of luxury purveyors and high-end food and beverage businesses. Beijing knows that public anger over corruption is high. An incident last Friday is just one example. A minor local official in Jiangsu Province was seen at an expensive banquet and then harassed and prevented from leaving by an angry mob. He cried and pleaded for forgiveness but was able to depart only after the police arrived. He was fired Sunday. The party is trying to harness popular anger against graft by allowing some oversight online, either through the microblogging site Weibo or the official “informant pages.” It is also very cognizant of the risk that things could spiral out of control, so it will keep a tight grip over public participation in the anti-corruption campaign, hence the crackdown on the nti-corruption campaigners agitating outside the system. Few outside observers believe corruption can be rooted out without broader political changes, but Mr. Xi appears determined to push this current crackdown farther than most believed. President Xi inherited many challenges, including but not limited to: a troubled economy; a growing debt mess; widespread corruption in the party and society in general; and a huge environmental crisis. Combine those challenges with what looks to be a very significant economic reform agenda that will affect many powerful interests across society, and it may be that the logical response from the party is to batten down the ideological hatches, rectify the party, strengthen control over the military, and increase oversight of the media (especially the Internet) and educational institutions before undertaking those jarring economic changes. I know, it may be too late, and many are convinced this is just a lot of thunder without the rain. But do not underestimate how serious he is, and how much personal prestige he is investing. The recent Politburo meeting deserves more attention than it has gotten outside of official media. The comment that this latest meeting signals an upgrading of the “eight rules” is interesting. The corruption crackdown and austerity may in fact deepen. I am sure Xi is serious but he cannot attack the elite and maintain tight control. They will get rid of him or he will have to become a military dictator. Like Rod and Winston, I’m skeptical for two reasons in addition to those already mentioned. First, the idea of what’s corrupt and what isn’t is different in China. Using personal connections to get access and information is considered normal—and hey, don't we have some of that in our own society too? China doesn’t yet have a law that bans insider trading. It’s not considered corrupt if an official’s family members get rich, which is what Xi’s family members have done, according to a terrific investigative report a year ago by Bloomberg. Second, what’s important politically is the optics of the issue—the appearance of battling corruption—rather than the substance. Aided by its control of the media and the courts, Party Central has a good chance of creating a corruption-busting image by punishing a few especially hated officials, especially those who got outed on weibo for wearing fancy watches, driving fancy cars, having too many young mistresses, or bragging about their power to abuse ordinary citizens. Public opinion polls have shown that most Chinese think corruption is a problem of their local officials and not of the people at the top. If that image can be sustained, the Party could be safe from an anti-corruption backlash. Mindful of how dynasties and the KMT fell due to uncontrolled corruption, the CCP urge to fight malfeasance in office is born of a deep and frightening historical awareness. And, its efforts may well end up being a do-or-die proposition. The first is that heads of State Owned Enterprises (SOEs) have relatively low salaries and little prospect of remuneration through such standard procedures used abroad such as stock options. So, they quite naturally turn to other forms of off-ledger compensation like bribes, which enable them to live in the manner to which they understandably imagine their rank and standing as high-level executives ought to entitle them. Second, there is no private property, which means that officials are in charge of most land transactions, which open manifold opportunities to salt a little away on the side as land deals are consummated. Third, banks are also state-owned and state-run, which means heads of SOEs sit in the catbird seat when it comes time to match land development deals with loans. And again, it is not difficult to make side deals to enrich oneself each time a loan goes through to fund some big development deal. It is not had to imagine that even as the anti-corruption campaign goes into high gear, many Party officials, who have not quite got their nest eggs secure, are offering up similar prayers to whatever deity it is that begs their genuflections. What struck me most as I read the very interesting discussion was the generational split among the participants. Four veteran China watchers, all with several decades of experience, but watching largely from a distance, and one younger one writing from Beijing where he has been for several years. I have tremendous respect for the four veterans, of course. And everything they say makes perfect sense to me. Xi has made it clear that he understands that maintaining party control is a prerequisite for whatever he intends to do. Party control clashes directly with much of what we assume the country needs to have a sustainable economy; rule of law and freedom to challenge the Party in words or deeds, most of all, the absence of both of which seem to make inevitable corruption and inefficient opaque economic decision making. But still, I wonder. Let's start from the very reasonable assumption that Xi Jinping knows better than any of us just how daunting the obstacles are. That he understands that establishing meaningful accountability for Party officials in government, business and elsewhere is extremely difficult without rule of law and freedom of expression. That the massive investment-based stimulus launched by Hu-Wen has left a severely distorted economic structure. That environmental issues are rapidly undermining popular support for the government and that without working accountability and regulatory mechanisms these are extremely difficult to address. All of it. But that he still believes that loss of Party leadership will set back China’s development, not advance it, and that the Party is capable of meeting these challenges. A serious attack on corruption is necessary and is also useful in establishing better discipline/accountability within the party. Toward what ends? We will find out over the next few years. Let’s not rule out the possibility that Xi is going to implement very strong measures in an effort to put the economy and society on a healthier course. So I second Bill Bishop’s suggestion that we need to pay closer attention to what is happening now and do so without very strong preconceptions about whether Xi can or cannot succeed under the current system. It seems to be taken as axiomatic in much of the Western commentary about Chinese corruption that it results from lack of a system like ours. In Taiwan, Chiang Ching-kuo, at the time still in a Leninist mode, did a great job of cleaning up what had been one of the most corrupt systems in world history. Then Lee Teng-hui and democracy came in. Mafias flooded into the legislature. Lee got wonderfully priced property next to a golf course, which presumably just showed what a great negotiator he was, but many of his appointees started to get very rich in traditional corrupt ways. When a crusading prosecutor made a good start on cleaning up some of the mess, Lee fired him. Chen Shui-bian then took corruption to the next level. While Chinese corruption exploded under Hu/Wen, and has reached frightening levels, it does not cripple the building of roads or the education of children or the staging of international games the way it does in democratic India or the democratic Philippines. I don't know what the outcome of Xi’s campaign will be, but as we speculate we need to be very explicit and careful about the assumptions we make regarding what works and what doesn’t. I don't agree that the emergence of potentially regime-delegitimizing corruption results from the Chinese system of government. Through 2002 China had what I would characterized as well-managed emerging-nation corruption. By that I mean that, as is true almost everywhere, most officials had a palm outstretched expecting grease, but the amounts were proportionately modest, the corruption did not detract much from economic efficiency, and it did not undermine political legitimacy. Zhu Rongji was not quite Chiang Ching-kuo in corruption management, but he knew how to keep corruption under control. He drastically cut back the top levels of government, gave every bureau a quota of regulations to delete, increased transparency of budgets in several levels of government, enhanced competition across a wide variety of sectors, forced the military out of two-thirds to three-quarters of its businesses, imposed more and more central control over interest groups and the provinces, started to create more distance between regulator and regulated, let the private sector rip, and set an outstanding personal example. The emergence of regime-delegitimizing corruption in the last decade resulted from Hu/Wen’s reversal of most of these reforms. Hu/Wen's approach to corruption was Strike Hard campaigns and the like, which are totally ineffectual in the absence of the kinds of structural reforms that Zhu did. So far, it’s unclear what Xi will do. There are preliminary indications of possible structural reforms, but not enough yet to make any judgments. Four dishes and a soup will evolve into something very luxurious within months unless there are structural reforms. Increased transparency and citizen criticism would clearly help. Those who think democratization would help need to take a close look at India and the Philippines, where corruption is absolutely crippling in a way that does not (so far) occur in reformist China.